Cavi-Tees & Molar Markers. Makes. A Great Gift for Your Patients and Friends. 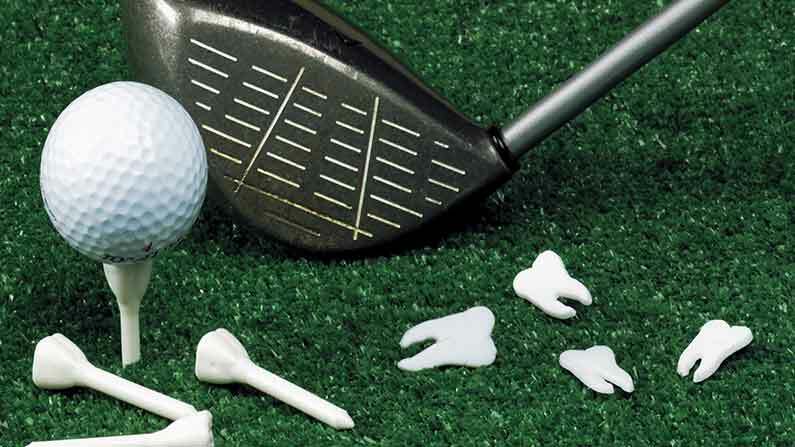 Play like the professional you are with Affordable Dental Products Cavi-tees and Molar Markers. Make a statement for your practice and place a bulk jar of Cavi-tees on your reception desk along with our small Molar Markers. The Cavi-tees are available in small novelty bags of 20 or in an attractive Molar shaped jar filled with 500 Cavi-tees. Buy them in bulk, the bag or personalize them with your practice name. So get in the game and ask your dealer for the molar jar item #66MJ a few bags of Cavi-tees item # 62GT or the molar makers 100/bag item # 64MM. Imprinting will require a nominal plate charge and then the labor to print them. Ask your dealer for more information or just give us a call.